Norman Regional takes a family-centered approach to labor and delivery, designing our services to allow you to bond with your baby from birth through discharge. We also offer board-certified lactation consultants and a Level III NICU. 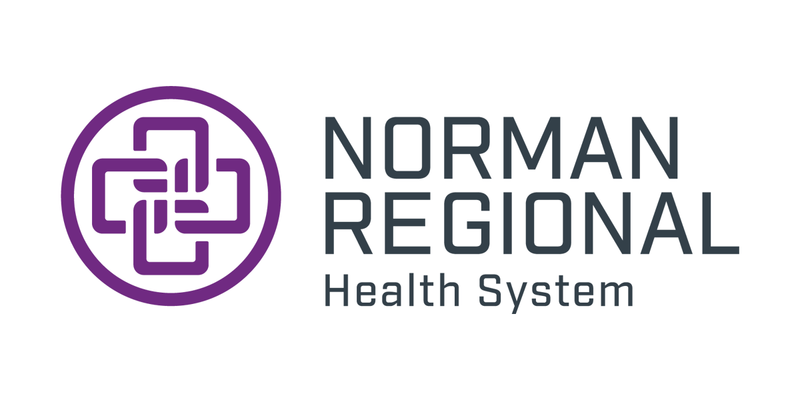 Norman Regional’s team of experts is ready to care for you as you welcome your new addition into the world, with board-certified physicians, registered nurses, lactation consultants and many others. The same experienced nurses who taught you birthing classes and assessed you in triage will be the ones caring for you throughout your delivery and recovery. A member of the Newborn Transition Team will be at your delivery to care for your baby during its very important transition. Once you are both stable, you will be moved together to your Mother/Baby room. Preregister for your delivery. Select “Obstetrics Admission” from the drop-down menu. Take a virtual tour of select areas within the HealthPlex including the nursery and a patient room. The staff on our 16-bed Labor/Delivery/Recovery unit provides one-on-one care from the time you walk in the door until you deliver. We’re on your side and want to give you the birth you desire, whether you want a nonmedicated birth or help managing pain. We also provide birthing balls, including peanut-shaped balls, for you to use during labor. Labor and delivery rooms are also outfitted with showers that laboring women can use. After giving birth, mom and baby are moved to the Mother/Baby floor, which offers 26 mother/baby couplet rooms. We take a family-centered approach to our labor and delivery services, so rather than placing your baby in the nursery, our highly skilled nurses and physicians come to you to provide care. This means the baby can stay with you from birth through discharge so you can have more time for bonding. If for some reason your baby needs special care and equipment, we also offer a newborn nursery and a Level III NICU. Skin-to-skin contact. After your little one has arrived, we encourage skin-to-skin time. Learn more about skin-to-skin time. Quiet time. Every day from 2 to 4 p.m., we have quiet time on our unit, allowing our parents and their newborns to bond, rest and breastfeed uninterrupted. We encourage our families to refrain from accepting visitors during this time. Lactation consultants. Breastfeeding is very important to us at the HealthPlex. Our staff are all skilled in helping you get off to a good start, but in case you need expert advice, we offer a full lactation department with board-certified lactation consultants available seven days a week. After you go home, if you still feel the need for assistance, our consultants are available to you on an outpatient basis by appointment. We encourage you to have a designated helper to stay with you in the hospital and after you go home. Having a baby and adjusting to the demands of a newborn is tiring, and it’s always good to have someone ready to take over to allow you some rest. Make sure you discuss any needs with your nurse prior to discharge so we can assist you. Norman Regional’s team has something special for siblings who are welcoming a new brother or sister. Please make sure to check-in at the main desk in the Mother/Baby unit and ask about the sibling gift. It is an honorary “sibling” hospital ID bracelet and stickers. The safety and security of our new moms and babies is a priority at the Norman Regional HealthPlex. Between 9 p.m. and 6 a.m., the entrance to the Women’s and Children’s Pavilion is locked and monitored by our security team. All visitors should use the Emergency Entrance located at the east side of the HealthPlex during these hours. All unscheduled labor and delivery patients should use the Emergency Entrance located at the HealthPlex at all hours to be evaluated by a board-certified OB hospitalist in the Obstetrical Emergency Department (OBED). Find out more about our OBED. Just because you leave our hospital doors doesn’t mean our staff has stopped caring for you. Call 405-515-3500 with questions about your health or your newborn’s or about lactation. Plus, be sure to check out our Resources for New Parents. Q: Can I get a tour of the Labor and Delivery unit? A: Yes, we welcome the opportunity to show you around our units and let you see the wonderful services and beautiful surroundings we offer. We offer tours of the HealthPlex Labor and Delivery/Postpartum units Monday through Thursday from 9 a.m. to 3 p.m. Because tours include a secured patient care area, we ask that you bring only one guest with you. Tours are also included in childbirth education classes. Q: Do you offer water births? A: Norman Regional does not have the equipment to allow for water births. However, our patient rooms do have large walk-in showers that laboring mothers may use. Q: Do you have midwives? A: We do not have Certified Nurse Midwives who practice in our hospital. 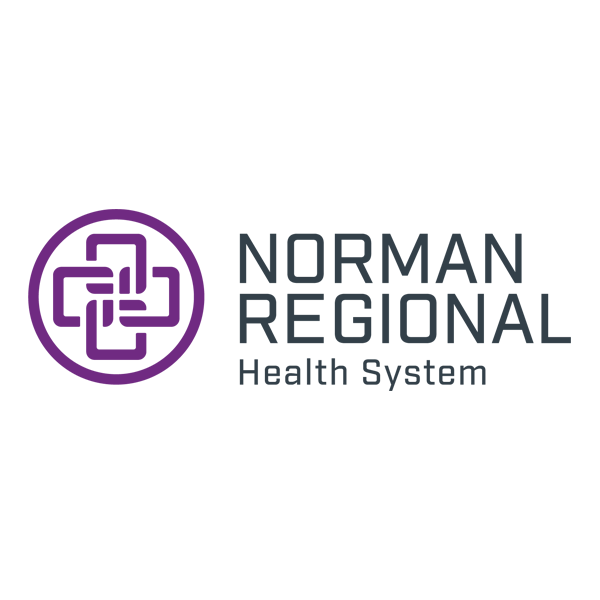 We are fortunate to have all board-certified OB/GYNs practicing at Norman Regional Health System. See a list of our board-certified OB/GYNs. Q: Do you offer birthing options such as a birthing stool, birthing chair, squatting bar or birthing pool/tub? If I brought this equipment with me, would I be able to use it? A: We do not offer nontraditional services and equipment for birthing options at Norman Regional. It’s a good idea to discuss birthing options with your chosen physician before you come to the hospital for delivery. Q: Do you have IVs and fetal monitoring? A: Yes. Our policies and physician orders outline IV and fetal monitoring as the safest way to deliver your care. Q: Do you offer birthing classes or sibling classes? A: Yes, we offer a variety of classes through our Education Center at Norman Regional. Learn more about our live classes here, or call our education department at 405-307-1776 for more information. We also offer online classes for those who are unable to attend class in person. Q: How big is your Labor and Delivery unit? A: The Labor, Delivery and Recovery (LDR) unit on the second floor of the Women’s and Children’s Pavilion has 16 patient care rooms. The rooms are supplied with the latest technology. After labor, delivery and recovery, you’ll be moved to the third-floor postpartum unit, with 26 rooms designed with the comfort of your new family in mind. We also offer a safe, traditional nursery and a Level III Neonatal Intensive Care Unit. For breastfeeding assistance, there are two full-time lactation consultants on staff. Q: What happens if there is an emergency? A: Our highly trained staff and board-certified physicians are capable of managing any emergency. We offer a Level III Neonatal Intensive Care Unit, and anesthesia for pain management is available 24/7. Q: How much does it cost to deliver a baby at Norman Regional? A: Our Patient Financial Services department is happy to answer any questions you may have pertaining to costs associated with a normal delivery. Please call 405-307-1300 between 8 a.m. and 5 p.m. Monday through Friday. Q: I just found out I’m going to have a baby and need to find a physician. Can you recommend one? A: Use our Find a Doctor page to search for OB/GYNs and pediatricians. You can also contact the Community Call Center at 405-515-5000 or contact us here. Q: Can I rent a breast pump at Norman Regional? A: Breast pump sales and rentals are available at Norman Regional Home Medical Equipment. They can be reached at 405-307-6620, or you can stop by their office at 718 N. Porter Ave., Norman. If we can be of any other assistance, please call our lactation consultants between 7 a.m. and 7 p.m. Monday through Friday at 405-307-3532.